We provide innovative education and training, research that advances medicine, and clinical care that improves the lives of our patients. 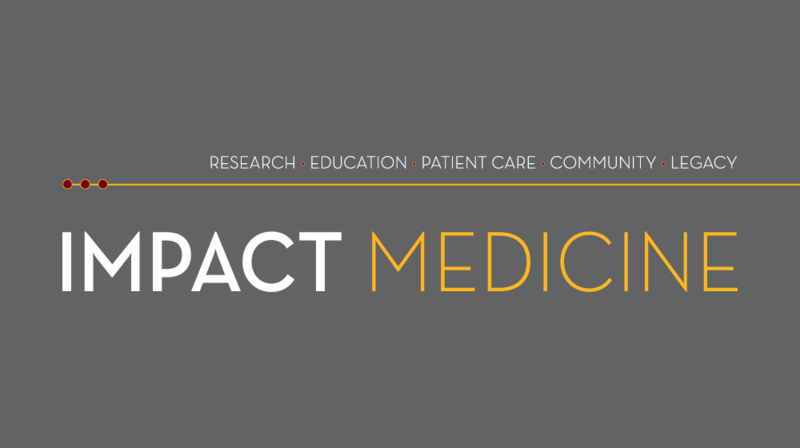 Give the best of ourselves to create a Medical School where individuals thrive, collaborations elevate, and the best of medical practice, research and education form our legacy. Medical Discovery Teams work to advance research and care surrounding critical issues that affect our state; Addiction, Biology of Aging, Optical Imaging and Brain Science and Rural & American Indian Health Disparities. Our graduates play an important role in improving the medical profession, changing public policy and advancing health care. Seventy-percent of Minnesota's physicians trained at the University of Minnesota Medical School. Your support enables our researchers to discover and deliver new treatments and cures, prepare leaders of the future, and transform healthcare delivery and quality. As part of National Youth Violence Prevention Week, which runs April 8-12, Iris Wagman Borowsky, MD, PhD, sat down to answers questions on the prevalence of youth violence in the United States and options for intervention.